Anderson starting racing junior speedway when aged thirteen, at the Undera Park raceway. He subsequently began practicing on the full-size 500cc machines two years later, before racing them properly at sixteen years-of-age. The Aussie joined Birmingham on a three point average because his great granddad was Scottish. Astonishingly Jake joined five other Aussie's in the Brummies side! Jake doubled up with Dudley in the National League and he had a great season, his away scores were superb but he did struggle around Monmore Green, his away average was almost two points higher than at home. Nevertheless to finish with an average of almost eight was remarkable however with an average like that Dudley found it impossible to fit him into the 2011 squad. 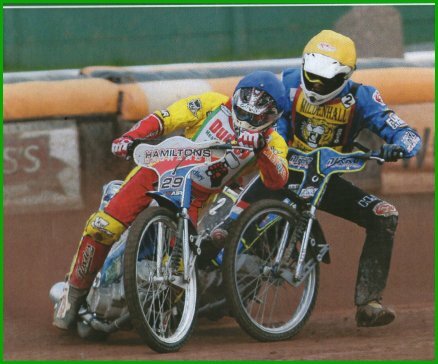 Jake stayed at home in 2011 but came back to join Plymouth in 2012 and was joint top scorer in the Westonapolis on his debut, he finished third in the Final behind fellow Aussies Todd Kurtz and James Holder. He finished with an average of 3.57 from 9 matches.